MPS is proud to be one of 623 districts nationwide to have been recognized as a 2019 Best Community for Music Education by the NAMM Foundation. This is the second year we've been chosen for this distinction. The MPS Music Education Program provides support services for all elementary and secondary schools. 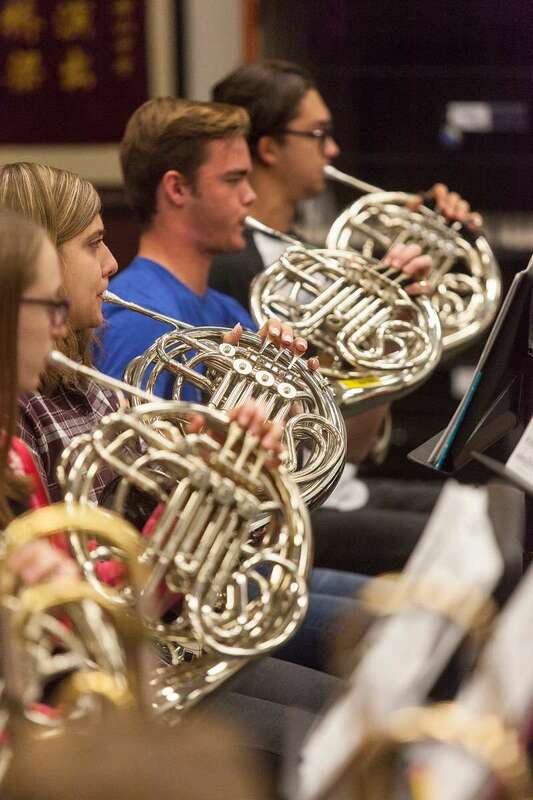 The primary focus of the various programs, including band, choral music, general music, harp and orchestra is to develop comprehensive musicianship. 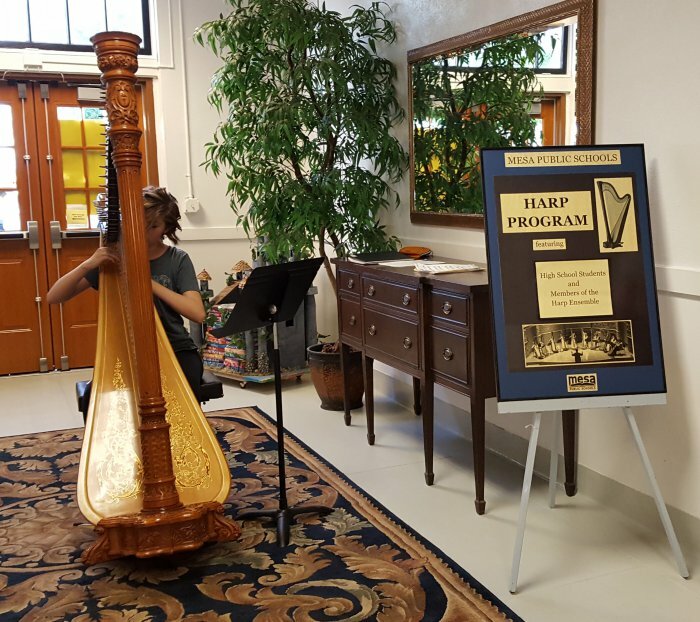 The support and encouragement of administrators and the community have been instrumental in helping the music program evolve to a high level of excellence. The real benefactors are the young musicians who bring their talents and skills to their peers, teachers, parents and the entire community. A special kind of learning takes place in music classes that impacts the intellectual and emotional development of our students. Ultimately, we want each student to become the best person possible. 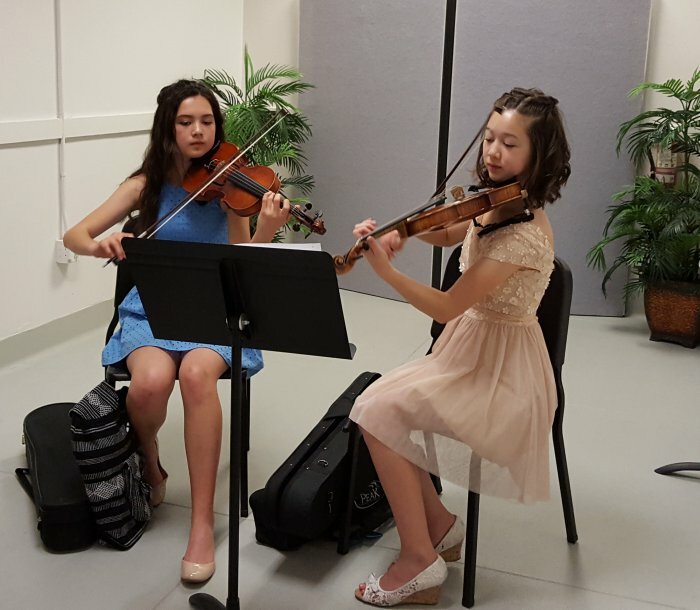 Music education offers a pathway to this educational destination. We truly believe that a grounding in the arts will help the children of Mesa grow wiser and become solid, productive citizens for life. Questions about the MPS Music Program? Scott Burgener is currently the Music Education Department Specialist for the Mesa Public Schools. 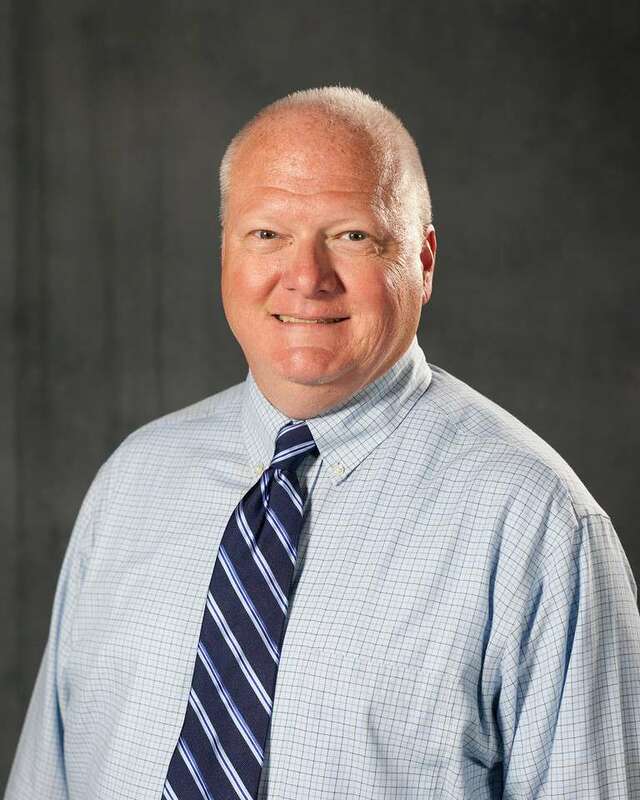 Prior to his appointment to this position, he was the band director at Mountain View High School in Mesa, AZ for eighteen of his twenty-five years in high school music education. During his tenure at Mountain View, Mr. Burgener’s bands consistently received high ratings both in and out of state, and students were regularly selected for honor ensembles including all-region and all-state bands, the Honor Band of America, the US Army All-American Marching Band, and NYO2. 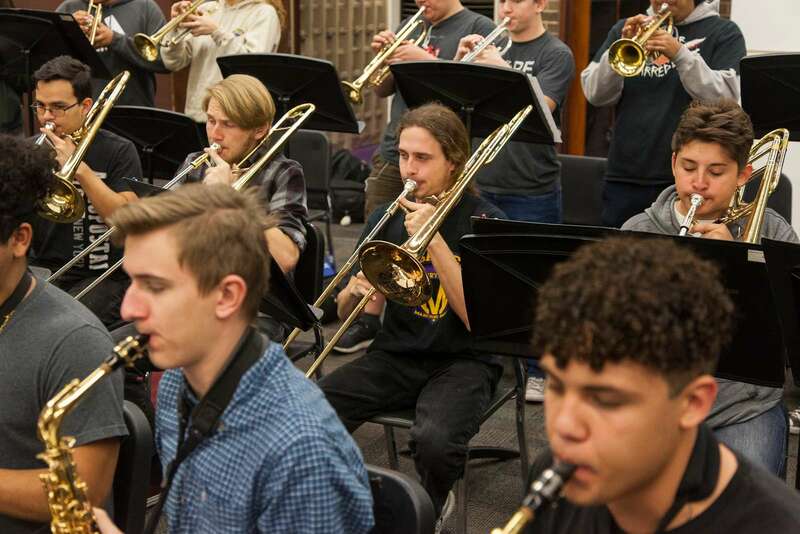 Students of his have gone on to perform with several DCI groups, including Carolina Crown, Santa Clara Vanguard, The Academy, Mandarins, Troopers,and Pacific Crest. His former drum majors have graduated to conduct the marching bands at Northern Arizona University and Arizona State University, and most recently a former Mountain View drum major was selected to conduct The Academy Drum and Bugle Corps. Mr. Burgener’s marching band performed around the globe, including appearances in the Dublin St. Patrick’s Day Parade, London New Year’s Day Parade, the Fiesta Bowl Parade, the Macy’s Thanksgiving Day Parade, and a 10-day performance tour of China. His Wind Ensemble was honored to be selected three times to perform at the annual state music educator’s conference. 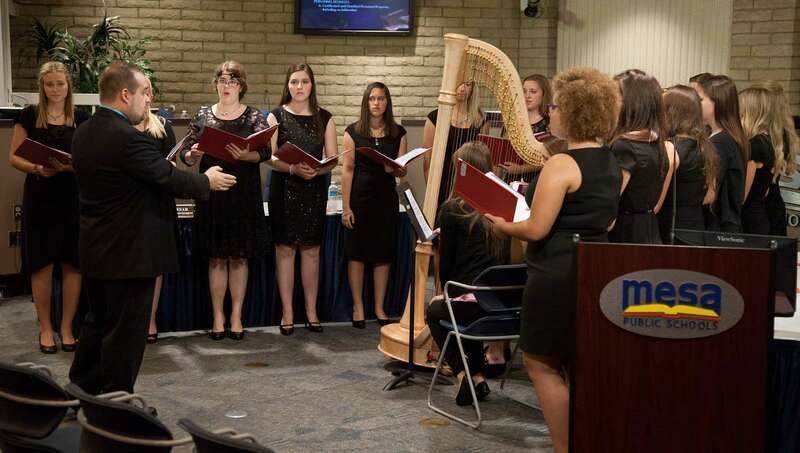 Mr. Burgener currently serves as President-Elect of the Arizona Music Educator’s Association (AMEA), and is a Past-President of the Arizona Band and Orchestra Director’s Association (ABODA). He is a member of the National Association for Music Education, Phi Beta Mu Bandmasters’ Fraternity, and is a life member of Kappa Kappa Psi, the national honorary band fraternity. He holds Bachelor’s and Master’s Degrees in Instrumental Music Education from Arizona State University, and has been recognized with AMEA’s George C. Wilson Leadership/Service Award. In 2006, he was recognized as one of the nation’s “50 Teachers Who Make a Difference” by School Band and Orchestra Director’s magazine. He regularly is called upon to conduct honor bands and adjudicate both marching and concert band festivals throughout the state of Arizona. Mr. Burgener's major instruments are saxophone, clarinet, and piano.